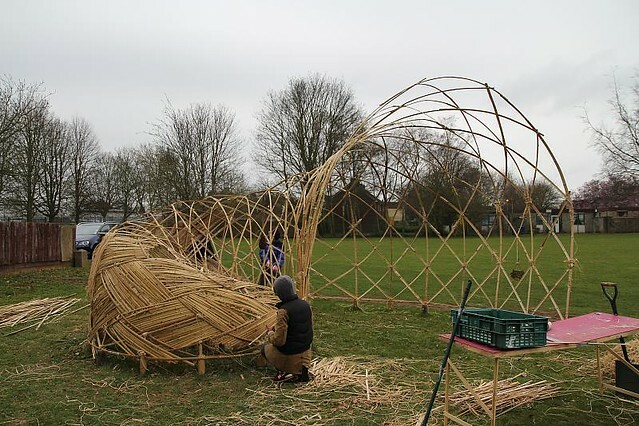 Metabolicity.com is coming back to life..
Over the past year we have been working with several primary schools in the UK through the Creative Partnership scheme to develop outdoor learning environments. We are now including this branch of work with MetaboliCity and will be posting regular blogs here over the coming months. See our photo journal for Learning Nests on Flickr here! One of the important aspects of MetaboliCity is the notion of place-making and valuing place and there is an interesting paper about place attachment contributing to pro-environmental behaviour in education here. Place attachment is the degree to which a place is important to people. Researchers found that place attachment contributes to pro-environmental behavior. To enhance place attachment, researchers often suggest that people need to spend more time in a place. For example educators may frequently take children out of classrooms to local ecosystems to enhance their place attachment.